You are here: Home / News & Events / Project Announcements / The EduHack course: day 1! The first of the three courses that are at the core of the EduHack project has just started. Organised by UNIR, this course began on March 18 and is expected to finish with the UNIR EduHackathon, to be held in Logroño, Spain on May 15. 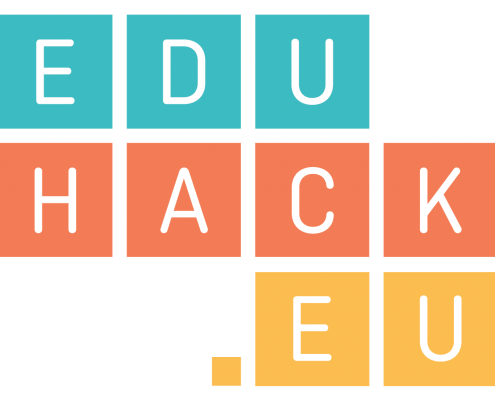 The EduHack programme consists of two different elements: an online course to develop digital skills and strategies and a highly intensive and dynamic EduHackathon where participants will work face-to-face to enhance their collaborative skills. UNIR has just launched the online course with 45 active participants, who will work intensively in different groups to produce new learning content and teaching approaches with the support of experts on ICT, instructional design and open education. The EduHackathon will be held in Logroño (La Rioja), Spain on May 15. The final event will be open to a wide audience and taking the online course is not a prerequisite for anyone who wants to take part in the EduHackathon. There will be two more iterations of the online course followed by an EduHackathon – one in Coventry University, UK and the other in Politecnico di Torino, Italy. For more information on the Spanish EduHack course please contact transfer.eduhack@unir.net or register to the online course. https://i1.wp.com/eduhack.eu/wp-content/uploads/2019/03/nruQGbW.jpg?fit=600%2C500&ssl=1 500 600 Fabio Nascimbeni https://eduhack.eu/wp-content/uploads/2018/02/EDUHACK_colored-495x400.png Fabio Nascimbeni2019-03-18 10:44:512019-04-16 21:46:10The EduHack course: day 1!